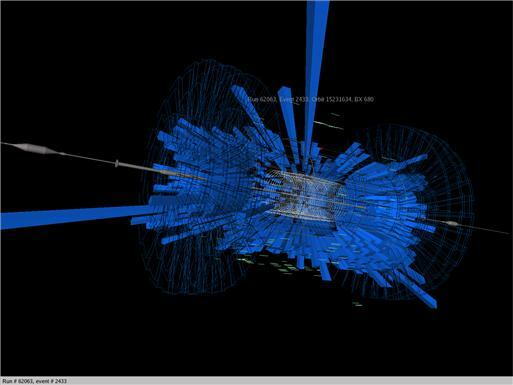 One of the other three LHC experiments, LHCb, had the honor of observing the first beam particles! The diagram in my August 24 post shows the parts of the LHC that have seen beam so far, which includes LHCb (on the red line). All four detectors are built around the beamline, not in it, so they’re not observing the beam protons directly. (No detector ever could— it would get fried!) They’re observing the “beam-halo” muons that accompany a beam (described in my August 8 post). This is normally considered an unwanted background, but we’re all excited anyway. A fellow aligner! I think we’re the only people who are actually happy about Beam-Induced Backgrounds. Except right now, now while we’re all excited about anything that trickles out of the LHC.